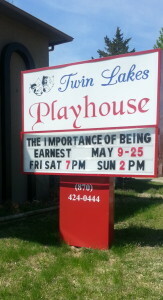 Do you want to be involved in the Twin Lakes Playhouse? Do you want to Act, Direct, build sets, design costumes, create playbills and posters or any of the myriad “roles” that YOU can play throughout the year? Become a member! It’s easy. 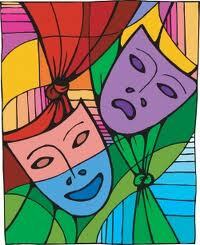 Membership dues are $10.00 per year for anyone 16 years of age or older. Membership dues are paid on or after October 1st of the current year and are honored through the end of the following year. Please note that children under 16 must fill out and send a membership form but no dues are required. If you want to use a Credit Card or Paypal, please fill out the online form below. When you click on the “Submit” button you will be taken to PayPal and there you can choose your payment method. NOTE: If you use PayPal or the Credit Card Option from PayPal, the PayPal transaction must be completed before we can process your membership form. Membership dues are $10.00 for each member over 16 years of age. By clicking the "Submit" button, I hereby authorize the Twin Lakes Playhouse to release any photographs and/or theatrical background information concerning me regarding any legitimate production in which I may be involved for the Twin Lakes Playhouse for advertising and publicity purposes only, concerning the productions in which I may be involved, including but limited to Playbill Programs, Playbill Newsletters, Magazine or via internet. I further hold harmless Twin Lakes Playhouse from any liability or damages which may result from such publication.